You won't believe how much $5 can mean to a Retro Robot. With all the new fangled digital computers and AI dominating the modern robotics industry, many classic and retro robots have fallen on hard times. These robots just want to be useful again, but they need your help. 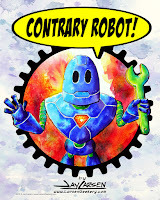 You can make a lasting change in the life of a retro robot by providing funds for the necessities of robot life: paint, gear oil, and basic programming. You can provide all of this for less than the cost of an overly-complex coffee or a trendy microbrew. 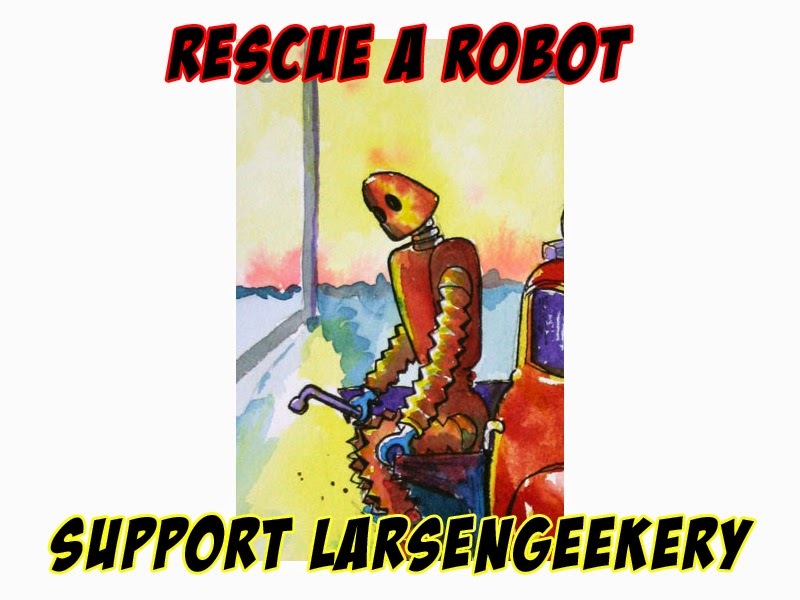 Help improve the life of a retro robot today by supporting LarsenGeekery. Save a Robot! Buy Some Art! You can Rescue some Robots in Person and see the difference your support makes in the life of a Retro Robot. Get Carried Away and Geek On!